The Ore International Halogen Torchiere lamp is sleek, stylish and able to beautifully illuminate any room in your home. 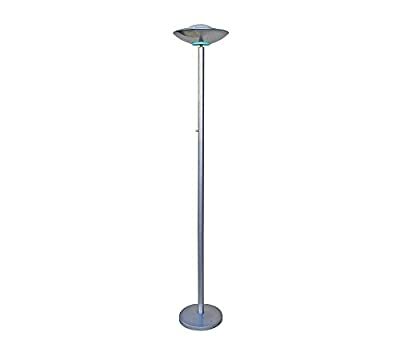 This lamp features a weighted base with a full-range dimmer switch and is safety certified for your protection. For your convenience it comes with a halogen light bulb.